Unfortunately Leo Vegas is no longer accepting players from Australia! Leo Vegas is one of the biggest and most respectable mobile casinos in Europe holding the world record for the highest win in a mobile casino. The winner took down about 5,600,000 euros. The website of the casino is fully compatible with all mobile platforms including Android-based mobiles/tablets, iPads, and iPhones. Yet, you can play in Leo Vegas on any other device and still get a world-class gambling entertainment. 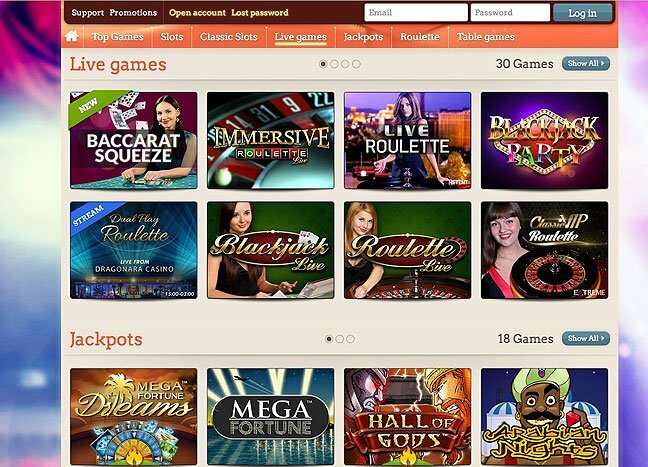 the casino takes a serious approach to gambling responsibility by allowing users to set their own daily limit of bets. When reaching the preset limit, the casino stops accepting stakes from that user. The casino has been created with a mobile user in mind, so it has a responsive design with simple and streamlined graphics that do not look outdated, though. Menu titles are comprehensive, efficient and convenient. Having no graphical bells and whistles, Leo Vegas is fully optimized to play via mobile browsers. There is the Language selector in the footer enabling users to choose one of nine display languages for the website, with English set as default. 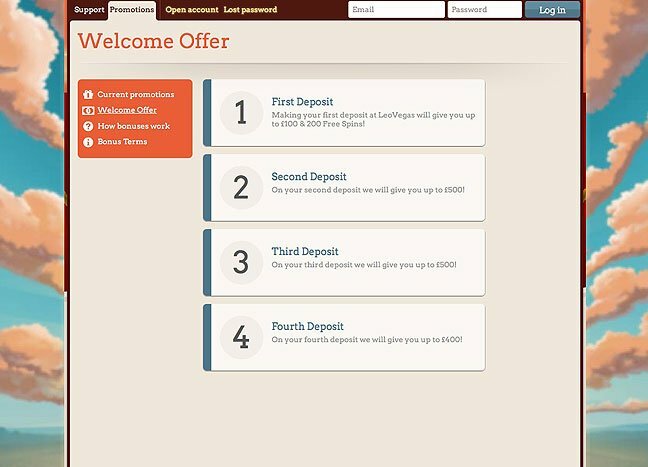 Leo Vegas offers a wide selection of pokies and table games: 500+ pokies, 30+ live dealer games, 20+ roulette variations, and about 40 table games – all released by internationally reputed casino software suppliers Netent, Betsoft, Microgaming, IGT, NextGen, etc. 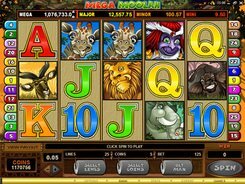 Giving no preference to any specific developer or game configuration, the mobile casino presents three- and five-reel pokies, classic one-payline and multiline solutions, and many other titles for a versatile gambling experience. 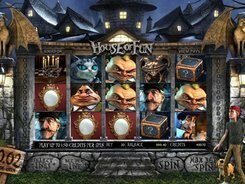 By the way, all intro-pictures for the pokies are arranged in alphabetical order, which comes in handy in view of appr. 500 titles. New players can enjoy the bonuses offered on the first four deposits, with a fairly low wagering requirement of x35. The minimum deposit to qualify to claim any bonus is $10. 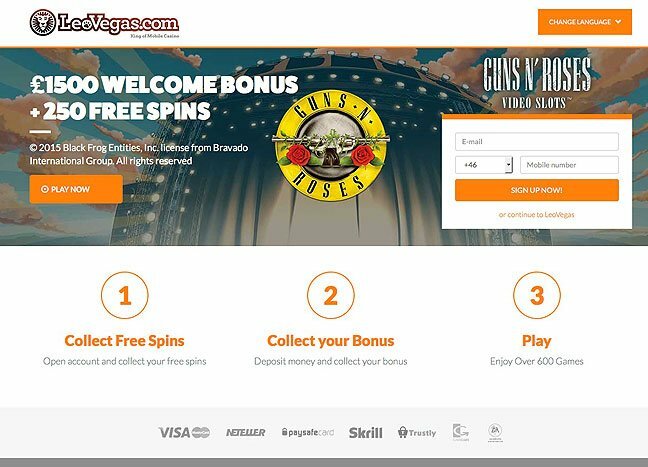 After making the first deposit, you get 200 free spins with the mentioned WR. The casino limits the eligibility of users to participate in free spin offers based on their location. So check Leo Vegas’s terms and conditions on the website to make sure you match the criteria. There is a 24/7 online chat with a superb response time. To check how quick they are, our team member sent them a simple question to the point, and got a professional reply within one minute. Well, this is a good result. For less urgent issues, you can send them an email or call them (tolls from UK users are free).